How does one come up with good and sustainable ideas which can change your life financially, while continuing to pay off? That is the question that every one wants to know. Whether you are starting a new business or brand, or whether you have an established business or brand, coming up with new ideas are key to staying relevant. In this video I give some tips on how I come up with good ideas and I also talk about teamwork and establishing a team, in order to reach your goals the fastest. "How To Make It In The Music Business: Using Social Media Marketing To Build A Large Following" Written by Ousala Aleem Published by Prestley Snipes LLC. Purchase your copy today. The 360 deal is nothing new. The first reported 360 deal was English recording star Robbie Williams’ deal with EMI in 2002. In the last few years 360 deals have become common place. New artists signing with a major label or their affiliates can expect it as a matter of course. The reason for the prevalence of the 360 deal is the dramatic decline in income from sales of recorded music. Income from sales of pre-recorded music reached its peak in 1999 at approximately 14.5 billion dollars. By 2012 that amount had shrunk to only approximately $7 billion - a decline of more than 50%, mainly due in part by the rise of the Internet. Under the traditional paradigm, the label would pay the artist a small royalty, which was even smaller after all the deductions. The artist could expect to receive no recording royalty at all unless his album was a major commercial success. But he got to keep everything else: publishing, merchandise, touring, endorsements, etc. However, these days artists often generate more money from other activities than record sales. For instance, Lady Gaga’s Monster Ball Tour grossed over $227 million dollars, and 50 Cent’s deal with Vitamin Water turned golden when he accepted shares in the company in exchange for authorizing the use of his professional name in “Formula 50”. It is reported that his shares were worth over $100 million after Coca-Cola purchased Vitamin Water’s parent, Glacéau, for $4.1 billion. These developments have spurred the labels to seek to participate in all the possible revenue streams generated by an artist. I have seen small labels also known as production companies get in on the act and insist that new artists sign 360 deals with them even if they put little or no money into recording and make no promises in regard to marketing or promotion. These companies expect the artist to provide fully mastered recordings for little or no money upfront, and they demand income from all sources of revenue. This is an excerpt from Chapter 6: Contracts and 360 Deals from my book "How To Make It In The Music Business: Using Social Media Marketing To Build A Large Following" for Music Business advice which will help you succeed! What does it mean to be independent? Are you an independent artist? Do you have an independent label? 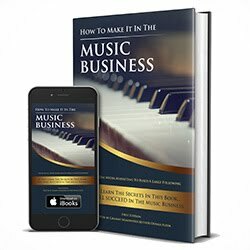 If you follow all the rules in my book, you may have several record labels calling your phone looking to sign you or your act. Being independent is really a blessing, if you are fortunate enough to be able to generate monthly revenue from your music and pay your bills. Any record deal that you sign will come with some sort of compromise. If you aren’t willing to compromise, then you shouldn’t get into agreements with other people and other businesses. When you are independent, you really cannot fail. Any profit made, is a win. You become somewhat of a slave to the label when you owe them millions of dollars. I personally would not want to owe anyone millions, unless I was 100% sure that I could generate it back. Think about this. Would you rather take $2 million dollars and owe someone, or would you rather earn $2 million dollars on your own time and not owe anyone? This is what you must consider before signing a record deal. Are you mentally in the position to handle a large amount of money and is your brand strong enough to make the labels investment in you worthwhile? You must think about this before you sign a deal because if things don’t go as planned, you could end up at the record label’s mercy. In this video, I explain what you will need to do, if you want to be a one hit wonder. Nearly half of all musicians that created a chart hit in the half-century in between 1955 and 2005 never did so again – 47.5 percent, to be exact. The “one hit wonder” is an artist who makes a hit song, that reaches the music charts, then after their initial success, they never are able to outdo their prior success by making another hit song. Depending on how big the hit song is, you may never need to make another hit song. There are plenty of artists still touring due to hit songs that they’ve made years and years ago. All you need is one good song, and you could be receiving royalties for the rest of your life. The goal of getting in the music business is to have a catalog of hit songs. Not just one hit song. True success in the music business, is having a large catalog of successful records under your belt. That is the ultimate end goal in this business. Why do some artists have big songs and very successful years in the music business, and then all of a sudden, you don’t hear from them anymore? They never seem to be able to follow up and make another smash record. Why is that? Read my book "How To Make It In The Music Business: Using Social Media Marketing To Build A Large Following" for Music Business advice which will help you succeed! Wondering how to get more followers on your social media profiles? Looking to raise your following on Instagram, Twitter, YouTube, Facebook, Snapchat, Soundcloud, etc.? Here's 7 steps that will teach you what you will need to do to get more followers, which will help you sell more products and help take your music career to the top! Read my book "How To Make It In The Music Business: Using Social Media Marketing To Build A Large Following" for Music Business advice which will help you succeed! Need to find an artist manager? Looking for artist management but don't know how to find a legit talent manager? Here's 5 steps that will teach you what you will need to do to find a manager, who can help take your music career to the top! Read my book "How To Make It In The Music Business: Using Social Media Marketing To Build A Large Following" for Music Business advice which will help you succeed! Here's my latest music video by my new artist Devin Malek, called "Lookin P". I shot the video using my iPhone 7 and added a bunch of random b-roll footage and overlays for a weird, trippy, psychedelic look. I've been working with Devin for a few months now and he's extremely talented. Here's more iPhone 7 footage I shot when he opened up for Raekwon from Wu-Tang Clan, during his "The Wild" tour. Check out my new documentary series "Life of Artist Manager" chronicling years of work in the music and entertainment business. See some of the work that it took, which led to me receiving a Grammy Award Nomination, going RIAA Platinum and selling over a million records. There's now over 101 episodes, so watch and learn as much as you can from my experiences. Subscribe to my YouTube channel to stay up to date with the latest videos.